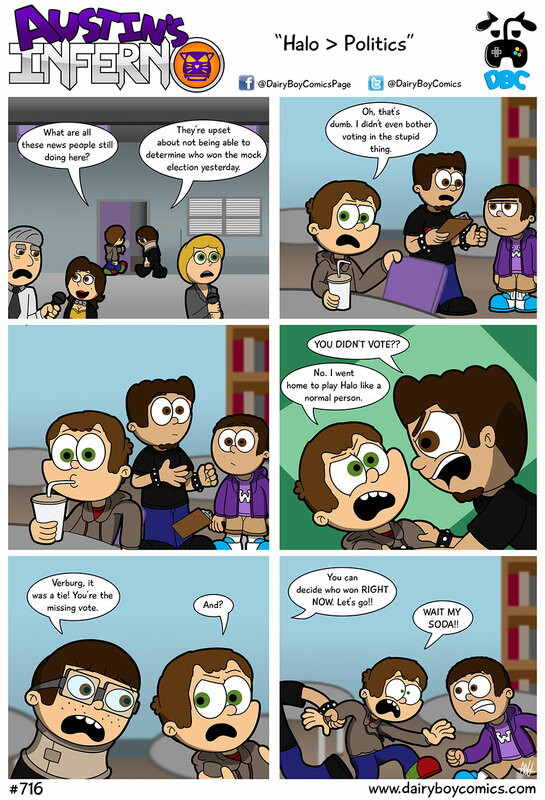 Halo > Politics – DairyBoy Comics! Last election, Halo 4 came out the same day as the election so its reasonable to assume that year playing Halo instead of voting occurred quite a bit. Everyone else: Collective scream of anguish. IS THIS WHAT THEY WANTED!? We have already established that Zsa’kith would make the best president. Him or the Box Ghost. I’ll vote for Newt. Why don’t we put in charge.